Even though home interest rates are currently on the rise, there has never been a better time to purchase a home. For a 30-year fixed mortgage, since November, the rate has only risen from 3.68 to 4.2 percent. That’s pretty low, historically speaking. But like with any long-term purchase, you may be hesitant and not know where to begin. You can ease any apprehension, though, by following this home-buying guide. It can get you comfortably through this process, even if it’s your first time. Leading up to the purchase, you should keep your money where it is. You, after all, have to pay for a lot of expenses like closing costs and a down payment. You’ll need a substantial amount of money to stay financially able to push through with the purchase. As soon as you decide to become a homeowner, start saving your money. Start even if it’s a year in advance, so you’ll have plenty of time to create a fund for related home expenses. Saving money during this time also affects your loan. Lenders want to see you’re responsible enough to save money and make the monthly mortgage payments. Amassing credit card debt, for example, labels you a risky applicant and you may get denied altogether. Or, you may get approved for a mortgage, but with a high interest rate. To avoid any unnecessary spending, come up with a reasonable budget. Start by calculating your expenses to see how much you’re paying to live. Establish realistic short-term and long-term savings goals you can track. It may take some time to see what expenses you really need to pay for compared to material wants that don’t add value long-term. Many homeowners get confused between pre-qualified and pre-approved. The latter is much more important because it means a lender actually assessed your full financial history. Using this information, lenders let you know how much you can afford and how much you’re approved for. You won’t have to keep looking at houses that are simply out of your price range. Some lenders actually require you to have a pre-approval before you can move forward with negotiations. They won’t have to second-guess how much you make because important financial data have been verified. Required information typically includes either pay stubs, tax returns, W2 forms, or 1099 forms. Realtors also like clients who’ve already been pre-approved as it indicates you are a serious buyer. They know what you make and your deals are not likely to fall through. They’ll also have an easier time putting together a list of homes you’re interested in that you can actually afford. An often overlooked aspect of buying homes for sale is identifying and eliminating potential border dispute problems. 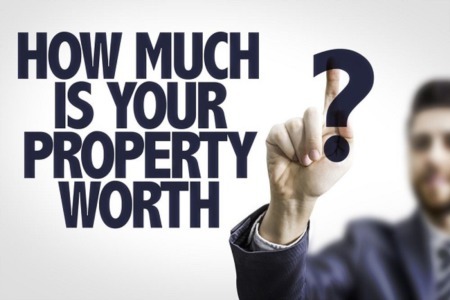 A piece of property may be out in the country with a lot of land. But where does the property start and end? You can avoid any boundary issues by having a survey completed on the property you’re interested in. You’ll know exactly what you’re paying for and won’t have to deal with angry neighbors in the future. Additionally, your property tax is based on how much land you own. Knowing this figure allows you to file correctly to avoid any unnecessary problems with the government. It’s clear there are a lot of decisions to make when looking at homes for sale. Although it may seem intimidating at first, you can facilitate the process by becoming a well-informed buyer. A real estate agent can also help if you need more information about the condition and selling price of a particular piece of property. Call the professionals at Nu Home Source Realty today and let us help you find your next Frisco, TX home.